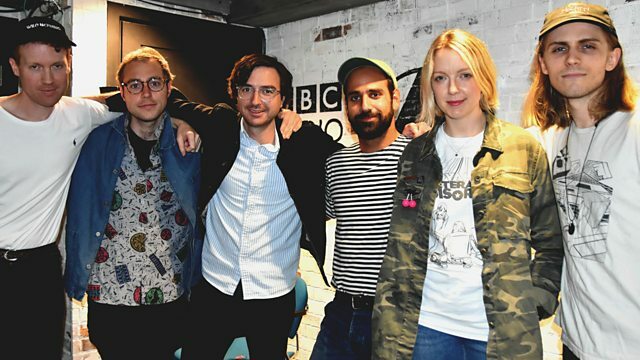 Lauren Laverne has a live session from Brooklyn band Real Estate, plus Biorhythms, more new music in Just Added and a Headphones Moment. Lauren welcomes Real Estate back to the 6 Music Live Room. The Brooklyn based boys last graced us with their presence in 2014, to celebrate the release of their wonderful third album Atlas, when they were still 'New Jersey based Real Estate'. Three years later they return, having just released their fourth full length album 'In Mind' in March. While still containing the winsome song writing and profound earnestness that made previous albums Atlas, Days and their 2009 self-titled debut so well loved, the latest record finds the band pushing in new directions, reflective of changes in location and line up, domesticity and a general desire to broaden the sonic landscape of their music. In Mind is already a favourite with the Mid-Morning show and we're delighted to hear the Real Estate play their new material live plus we've a big box of great records and more new music for the Just Added Playlist. The Noise Made By People. Should The Bible Be Banned. Take A Break (Various Artists). The Essential Nina Simone Volume 2. The Best Of Snoop Dogg.